1976's Here and There and Live In Australia With The Melbourne Symphony, which was recorded at the Sydney Entertainment Centre on 14 December 1986 with the Melbourne Symphony Orchestra, have been reissued on 180g vinyl and are available to buy now. 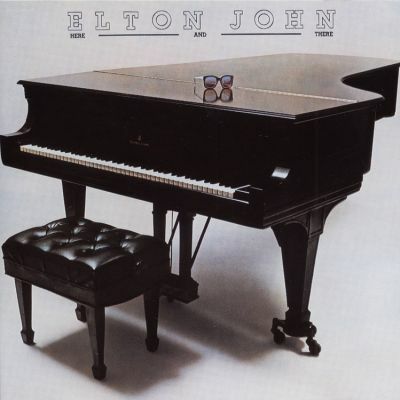 The title of the album reflects its British origins; the ‘Here’ side was recorded at the Royal Festival Hall in London on May 18, 1974 – Elton’s third, and latest, performance at the esteemed South Bank venue. 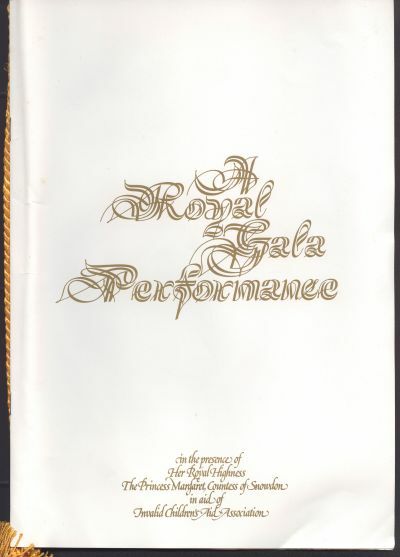 The concert was a benefit for the Invalid Children’s Aid Association and was attended by the charity’s President, HRH Princess Margaret. After the show, she told Elton, "Did you know you're louder than Concorde [in concert]?" 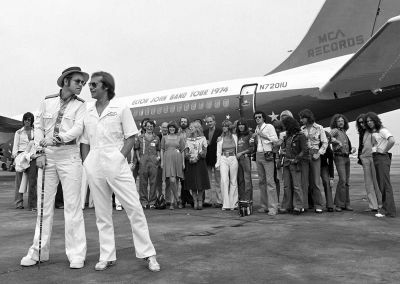 Thus was born Elton’s 1976 tour title: Louder Than Concorde But Not Quite As Pretty. 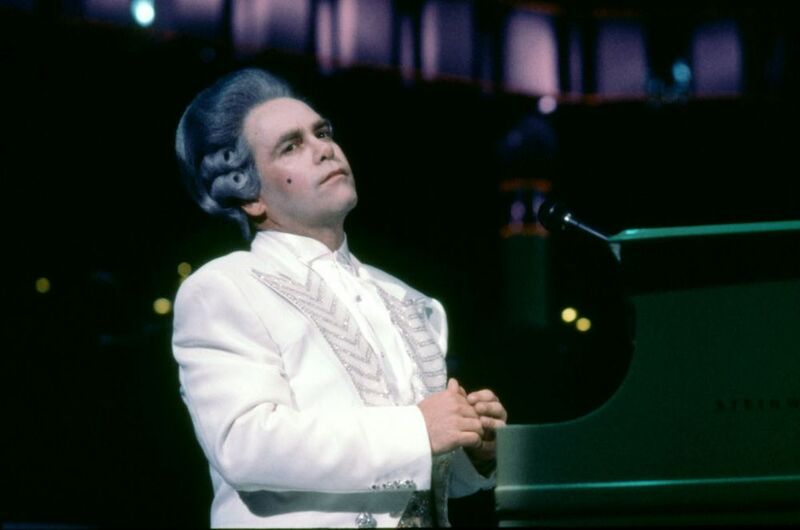 Elton developed the concert in a unique way: he performed the first song, Skyline Pigeon, solo at the piano. Then bassist Dee Murray and drummer Nigel Olsson joined him for the second number, Border Song. By the time Honky Cat comes around, the full band, including guitarist Davey Johnstone and percussionist Ray Cooper, have arrived on stage. The minute-long “duck call” solo on Honky Cat is courtesy of Ray Cooper and no doubt remains the only time this particular woodwind instrument was featured on a rock tour…or, for that matter, at this venue. Lesley Duncan’s Love Song was the first song Elton ever recorded on one of his own studio albums (Tumbleweed Connection) that was not written by him and Bernie Taupin. Lesley had sung backing vocals at a handful of Elton concerts in the early 1970s, and on 16 songs across three of his first four studio albums, before joining him on the Royal Festival Hall stage this evening. ‘There’ was recorded at Madison Square Garden in New York City on November 28, 1974. This was just Elton’s second concert at this venue, which has since become his favourite to play in and at which he has now performed over 70 times, including the Concert For New York City (2001), From the Big Apple to the Big Easy (2005), and the 60th Annual Grammy Awards (2018). On the 1974 tour, and many others to follow, the opening of Funeral For A Friend was the actual original album recording – performed on synthesizer by Goodbye Yellow Brick Road album engineer David Hentschel. On Elton’s current Farewell Yellow Brick Road Tour the intro is played live by keyboardist Kim Bullard. Rocket Man is five minutes long on this live recording but runs nearly 3 minutes more on Elton’s current tour, thanks to an extended delicate piano interlude by Elton, often accompanied by Davey Johnstone on acoustic guitar, in the second half of the song. Long-time Elton devotees notice that at this concert, recorded just seven months after Bennie And The Jets topped the charts, the audience reaction builds in recognition with each thump of the song’s opening chords. On more recent tours, all it takes is the first chord and the crowd goes wild. Every song on the ‘There’ side, and two on the ‘Here’ side, can be found on the current Farewell Yellow Brick Road Tour set list. And with Skyline Pigeon’s massive popularity in Brazil it is possible that that song may also be included when the tour travels down that way…upping the count by one. At the time, Elton was the only rock act to have taken a full orchestra out on tour. Some other bands, most notably Procol Harum with the Edmunton Sympony Orchestra in 1971, had done select orchestral concerts prior, but Elton's 26 Australian dates between November 5 and December 14, 1986 with the 88-piece Melbourne Symphony Orchestra, in addition to his 14-member band, were the first of their kind. The orchestra conductor for the tour and this album was James Newton Howard, who had been Elton’s keyboardist from 1975 to 1981. James is now a preeminent film soundtrack scorer and has worked on over 100 films, including Pretty Woman, The Fugitive, The Sixth Sense, Batman Begins and The Dark Knight, The Hunger Games series and Fantastic Beasts and Where to Find Them. Many of the orchestral arrangements James wrote for these songs continue to be used in Elton’s repertoire to this day. For example, Take Me To The Pilot has an expanded feel in its solo and closing sections different from all of its pre-1986 incarnations, including the one on Here And There. James expanded upon the charts of Elton’s original arranger Paul Buckmaster for songs like Sixty Years On, I Need You To Turn To, The King Must Die, Tiny Dancer, and others. This is due to the fact that the studio versions of these songs typically had a 20-30 piece string section on them, as opposed to the full orchestra (almost three times that size) Elton had with him on this tour and album. While Elton gives Buckmaster a nice shout-out before Have Mercy On The Criminal on this album, it is Pauls’ work on The Greatest Discovery that Elton remains most fond of…going so far as to request that be played at the late arranger’s memorial service in Los Angeles earlier this year. 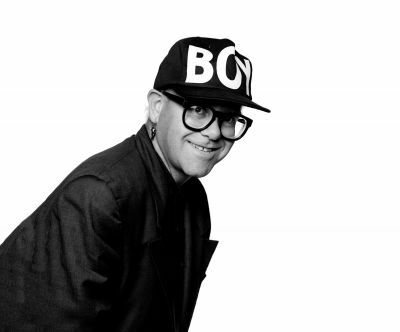 Well before this tour began, Elton was told by his doctor that he should not use his voice at all (singing or speaking) due to nodes on his vocal cords. This is why his vocals have that very raspy quality…which only adds to the emotion of the songs. Elton had successful throat surgery just three weeks after the final show of the tour – the night this album was recorded. Candle In The Wind was issued as the Live In Australia… album’s first single. It peaked at #5 on the UK singles chart and #6 on the Billboard Hot 100. With the original single in 1974 and the re-written tribute to Princess Diana in 1997, this song has charted in the UK Top 10 in three consecutive decades. The orchestra did not perform during Candle In The Wind (only Elton and keyboardist Fred Mandel played on the song at this concert) so at the beginning of the second verse they took out hand-held candles and kept them lit for the remainder of the tune. This is why the audience applauds half-way through the song. Elton had no idea this was going to happen and can be seen reacting on the official video. A great number of songs on this tour and album had not been performed live by Elton for nearly 15 years. While planning the set list for this orchestral tour, he selected songs from the early records that featured string and horn arrangements: Elton John, Tumbleweed Connection and Madman Across The Water. All but four of the songs on this album were originally from those three albums. 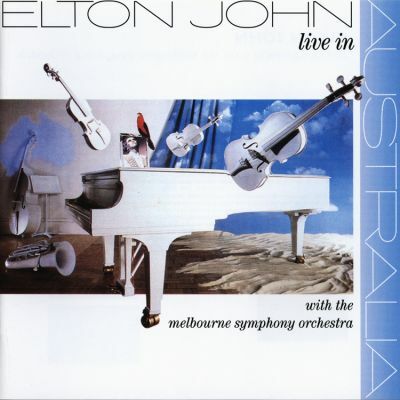 Live In Australia… stayed on the Billboard Top 200 for 41 weeks, the second-longest of any Elton album – live, studio, or compilation – since Captain Fantastic And The Brown Dirt Cowboy in 1975 (Too Low For Zero ran for 54 weeks in 1983).